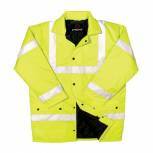 Constructor Jacket Saturn Yellow XL CTJENGSYXL Pack of 1 Proforce EN471 HJ03 class 3 high visibility site jacket. Features reflective tape. Fully taped and waterproof seams. Waterproof shell fabric. Front patch pockets. Full length zip and storm fastening. Storm cuffs and roll away hood. X large. 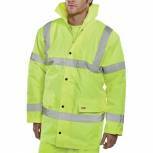 Constructor Jacket Saturn Yellow Medium CTJENGSYM Pack of 1 Proforce EN471 HJ03 class 3 high visibility site jacket. 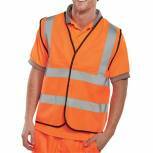 Features reflective tape. Fully taped and waterproof seams. Waterproof shell fabric. Front patch pockets. Full length zip and storm fastening. Storm cuffs and roll away hood. Medium. 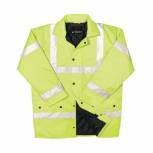 Constructor Jacket Saturn Yellow Large CTJENGSYL Pack of 1 Proforce EN471 HJ03 class 3 high visibility site jacket. 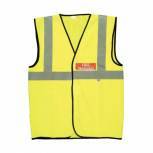 Features reflective tape. Fully taped and waterproof seams. Waterproof shell fabric. Front patch pockets. Full length zip and storm fastening. Storm cuffs and roll away hood. Large.